Return to Home > Our store(s)! Since more than 120 years, Maxim's de Paris has established itself as the timeless and inescapable symbol of the French "art de vivre". 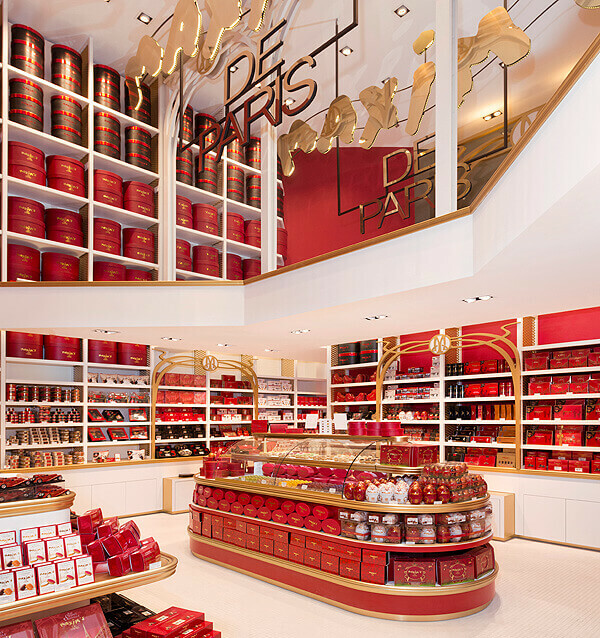 It is in the prestigious Carrousel du Louvre that was inaugurated in March 2015 the first concept store 100% dedicated to the brand, a prestigious outlet with more than 200 references including a new exclusive range of macarons and sweet treats to take away. In June 2016 opens the second Maxim's store in the typical Parisian area of Montmartre, an ideal location for an historical brand. Maxim's Parisian stores : Carrousel du Louvre, 99 rue de Rivoli, 75001 Paris, next to the reversed pyramid, and in Montmartre, 14 rue Norvins. Modern boutiques, chic and elegant with a Belle Epoque spirit in the heart of Paris! The perfect balance between modernism and Art Nouveau. Maxim's combines the experience of a legendary brand, the tradition of a certain French "art de vivre" and the never ending search of the most exquisite flavors and presentations to satisfy the most demanding gourmets. 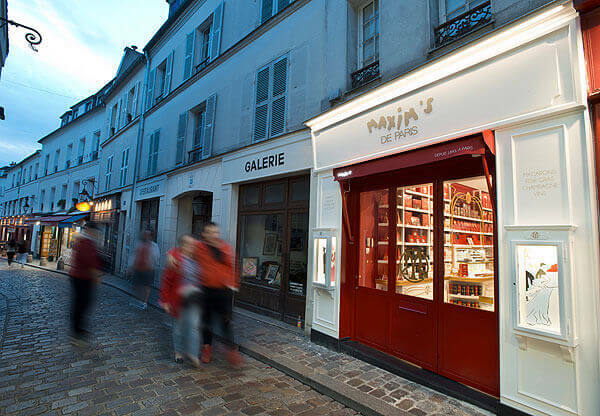 In the tradition and respect for its history, Maxim's offers a range of fine food products carefully elaborated : chocolates, champagne, foie gras and many other gourmet specialties to be discovered either at the Carrousel du Louvre or in Montmartre.